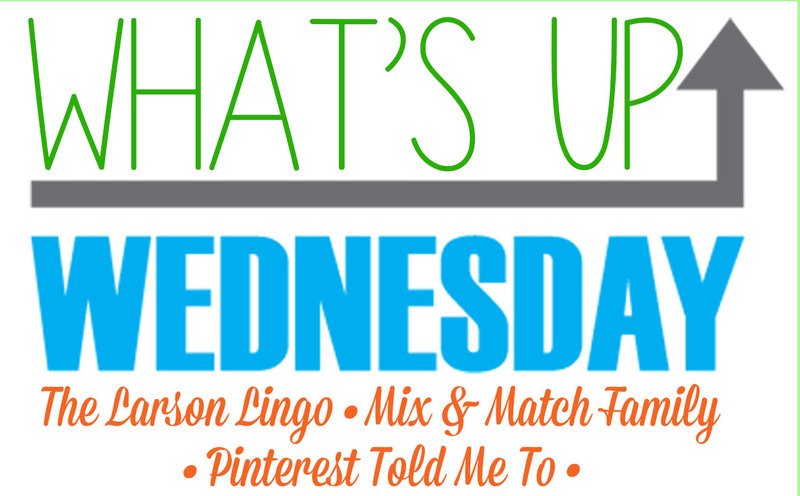 Excited to join along with the ladies above ... jumping in to say What's Up!!! I made this 21 Day Fix dish for dinner... Naan wheat bread - with fresh tomatoes, spinach, feta cheese. Put Red pepper sprinkles on it. Some seasoning. GOODNESS GRACIOUS. It was amazing. Didn't feel like a "diet" food. Our Buffy & Sydney. I miss them so much even still. & when we're playing with Harvey, I know Buffy would have loved to have him as her brother. & when we're snuggling with Harvey, I know Sydney would have loved to get close & sleep next to him. Fur babies always take a piece of my heart when they leave. I've put off getting this stuff because its kinda pricey for nail polish & let's face it, I'm cheap when it comes to certain things. But I broke down & got it because I'm tired of nails chipping 3 hours after I put it on. So far, I'm loving it. I especially love the big brush that it has. Covers the nail so easily! this perfectly sums up our lives. Its pure chaos... its going to take awhile to get it back in order. I'd rather be doing other things - for sure. Going to be making up a poster for the church band to advertise their upcoming concert. Last year, the picture went into the local paper. So I really work hard on making it look eye catching, have the correct info & something I'm proud to put my name on. It's been hotter then Hades this week & out of no where, our highs this weekend are going to be in the 70's. So glad its happening on the weekend & not like on a Monday! It's written by a blogger. She is so funny - even in the midst of life challenges of the birth of her daughter. She's someone I want to be friends with. I love hearing their recaps of all the crazy going on. I never take a picture of what I'm wearing, but I really liked my outfit this morning, so yippee for this question. Guess what... I'm busy. I know, you're shocked. I actually have a early photo session on Saturday with a couple that I did their engagement pictures - & now I'm doing their daughter's 1 yr old pics. I love 1 yr olds too. Full of smiles. Hopefully no tears. Ricky & I have been in talks about whether to do a Disney vacation or to redo our kitchen. I'm so torn about it, I can't even think. Do people really make plans this far in advance? How's that for a vague answer. or jump over to Shay's blog & join along! 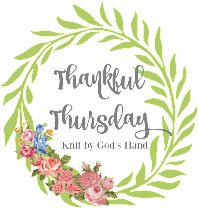 Come back tomorrow to Link up for Thankful Thursday!!! Love these questions and your answers. So fun. Okay, I pick the one What am I doing this weekend. I'm doing the 4 mile walk/run called Hyde Park Blast. I am so looking forward to this challenge. I've been walking a mile a day to start getting ready and this morning I did 2 miles. I think I can really do this!! After that, I'm not sure what I'll be doing, except visiting my parents and going to church. Should be a great weekend! Oh, I forgot to say, that "pizza" looks delicious! And now I want to try that polish. Is it easy to put on and does it take very long to dry? Disney vacation!!! :) Love your outfit and yes to Naan pizzas! So good on the grill! I wonder where you can find Naan bread ... I've seen so many different ways to use it lately that I want to give it a try. Love your outfit! Cute! I am so hard on my nails ... I wonder if that gel polish would hold up to the abuse I give my nails. You look cute!!! 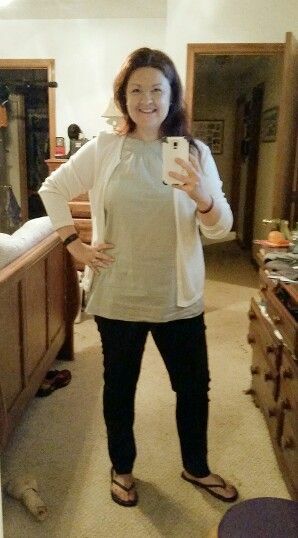 Also, Old Navy has some black skinnies that are like khaki pants material and they are SO comfy! And cheap. Cleaning the house - girl I am with you! It's just a constant project! That pizza looks sooo delicious! And healthy? Bonus! I need to try at-home gel polish. When I got mine done at a nail salon (only once!) they didn't do it far down enough to the base of my nail...so the polish was lasting, but after two weeks the growout looked like it had been a month or so! I like to make plans this far in advance, but sadly I don't think I'm going to have anything major just hanging out at the house. That is a cute outfit. I usually don't take pics of myself either for my outfits because I have to be at work so early I rarely look cute, lol. We use pitas for our pizzas now, but I've been hearing more about Naan bread I need to try to find it!